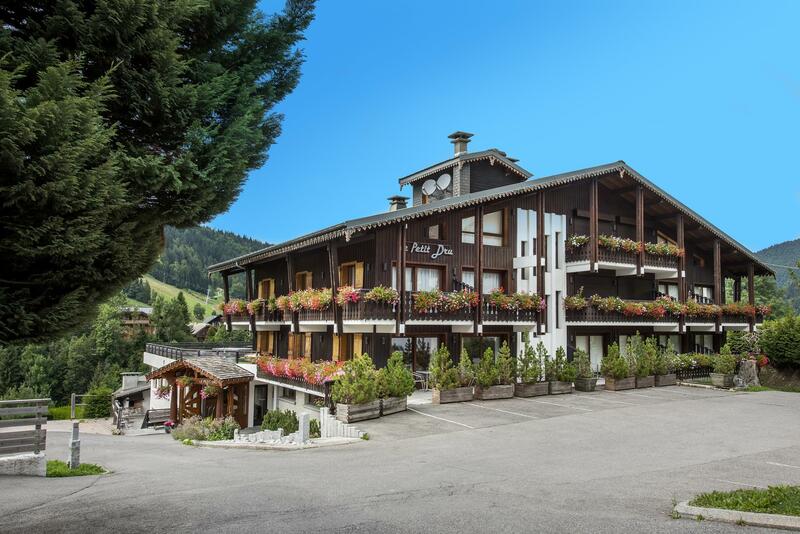 Hotel Le Petit Dru is located on the Route d’Avoriaz in Les Putheys, Morzine. We have two car parks and a coach park. Morzine is in the heart of the Chablais region halfway as the crow flies between Mont Blanc and Lake Geneva. The village is located 35 km from Cluses and Thonon-les-Bains, and 70 km from Annecy and Geneva. There are many transport options to get to the hotel. / Transfer by scheduled bus. Geneva International Airport, 80 km from Morzine for international flights.